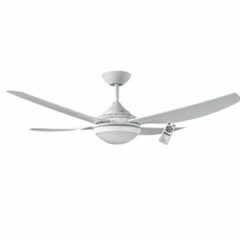 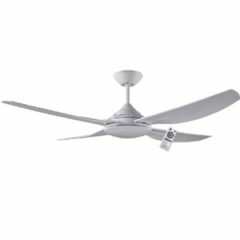 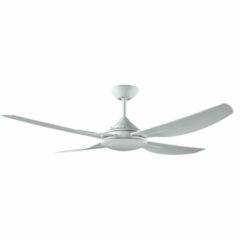 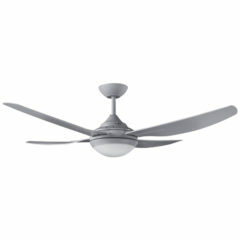 Royale II Ceiling Fan with LED Light in White - Wall Control 52"
The Ventair Royale II with LED Light has a blade span of 52″ and four precision ABS plastic blades. The premium motor reaches a maximum wattage of 75w and airflow of 13,120 m3/hr ensuring balanced and quieter performance. 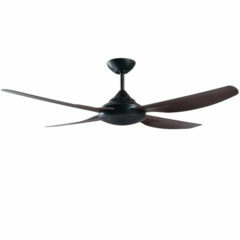 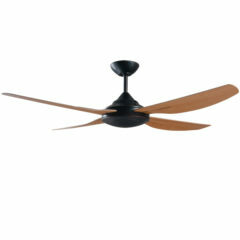 The Royale II ceiling fan can be installed indoor and outdoor, provided it is under a covered location. 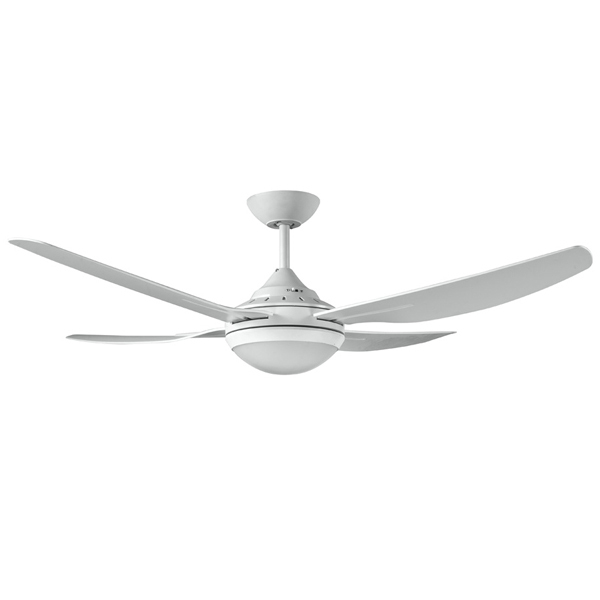 The Royale 2 ceiling fan is pre-balanced to ensure smoother, quieter performance and also has reversible settings for both summer and winter use. 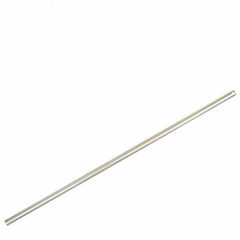 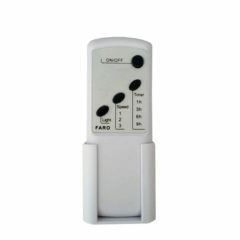 It comes with a three speed wall control as standard but is remote control adaptable.